The tastemakers at A24 can't seem to do anything wrong right now. After a glorious awards season that saw their films in contention everywhere, in particular Lady Bird, they've kept the momentum going with buzzy pickups like Eighth Grade, Hereditary, and more. Now they're keeping that momentum going with a timely adaptation of Richard Wright's acclaimed novel about race, poverty, and violence, Native Son. This one is moving quickly, too, with a cast and crew already in place. 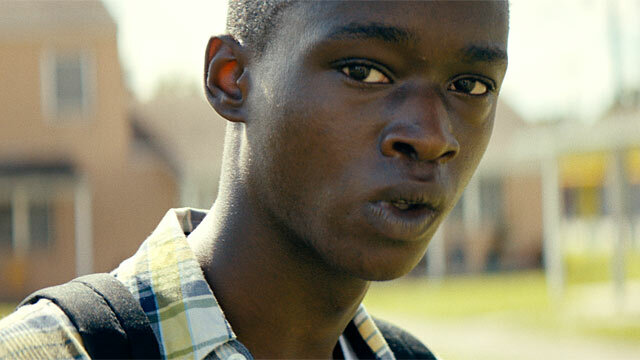 Moonlight's Ashton Sanders will star as Bigger Thomas, a 20-year-old African-American from the poverty-stricken South Side of Chicago in the 1930s who accidentally kills a white woman out of fear, and his subsequent flight from justice and eventual incarceration. The book chronicles the systemic factors that make Bigger's predicament an inevitability, not just for him but most blacks in his situation. Behind the camera will be conceptual artist Rashid Johnson working from a script by Pulitzer Prize-winning playwright Suzan-Lori Parks. Rounding out the cast is an impressive group that includes Margaret Qualley (The Leftovers) Nick Robinson (Love, Simon), KiKi Layne (If Beale Street Could Talk), and Bill Camp (The Night Of) with Straight Outta Compton cinematographer Matthew Libatique part of the team. Wow. Clearly this is a film A24 will be positioning as a major awards player, and with all of the pieces in place expect cameras to roll soon.